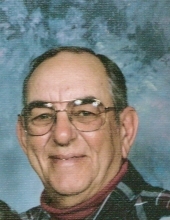 William Charles Guay of Plymouth, NC went to be with the Lord on April 6, 2019, at Vidant Medical Center in Greenville at the age of 76. He was born May 16, 1942 in Lewiston, Maine, the son of the late Laurier J. & Bertha (Montigny) Guay of Springfield, MA. He married the love of his life and best friend, Claudia Green, on June 11, 1999 in Raleigh, NC. Prior to moving to Raleigh, NC in October 1997, he lived in Massachusetts for the better part of thirty-eight years. He served in the Marine Corps for a short time. Prior to his retirement in 2005, he worked at Tranter's Creek Resort and Campground in Washington, NC as Assistant Manager/Maintenance for four years. He was a member of Maple Grove Christian Church in Jamesville, NC. Besides his parents, he was predeceased by his infant sister, Marie Guay in 1945; his younger brother, Richard J. "Ricky" Guay of San Antonio, TX who died in 2010; and his older brother, Paul J. Guay of Sacramento, CA who died in 2013. He leaves his beloved wife and best friend Claudia; two sisters; Gloria and Mike Russo of Springfield, MA and Diane Owens of Pittsburg, PA, two brothers; Donald and Rita Guay of Springfield, MA and Bert Guay of Pittsburg, PA as well as nieces (Pamela, Debra, April, Cindel, Michelle, Kim, Donna, Christina and Christal); nephews (Michael, Christopher and Skip); and two grand-nephews (Cole and Cameron). Per the wishes of the deceased, there will be no memorial service. He wishes to be cremated and his ashes put into the care of his wife. A Celebration of Life will be held at a future date in CT. The family requests that in lieu of flowers, memorial donations may be made to the Wounded Warrior Project, PO Box 758517, Topeka, Kansas 66675 in his name. "Email Address" would like to share the life celebration of William Charles Guay. Click on the "link" to go to share a favorite memory or leave a condolence message for the family.